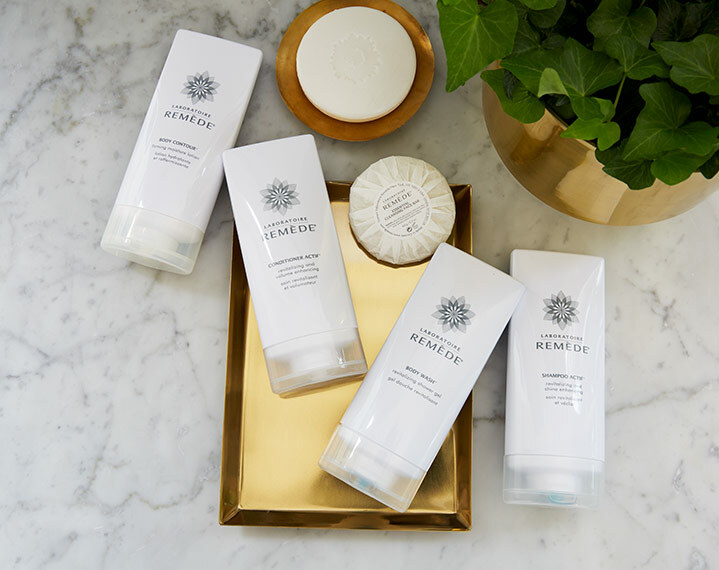 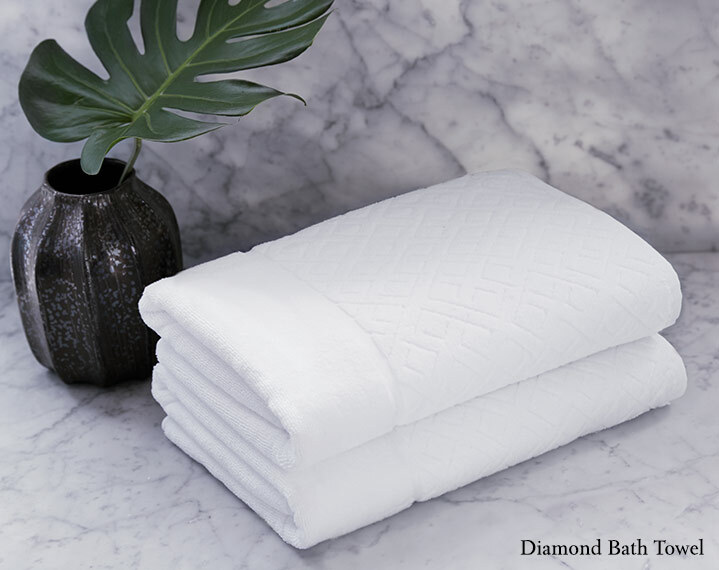 Unwind and experience the exquisite Diamond Towel Sets, exclusively for St. Regis Hotels & Resorts. 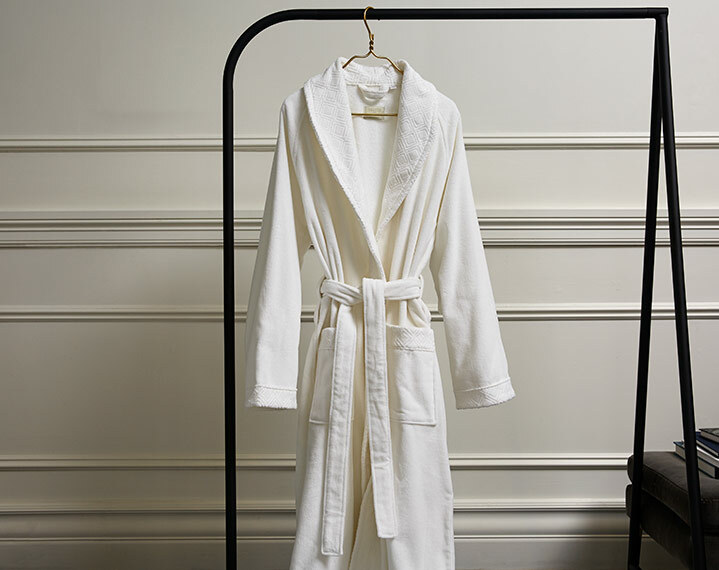 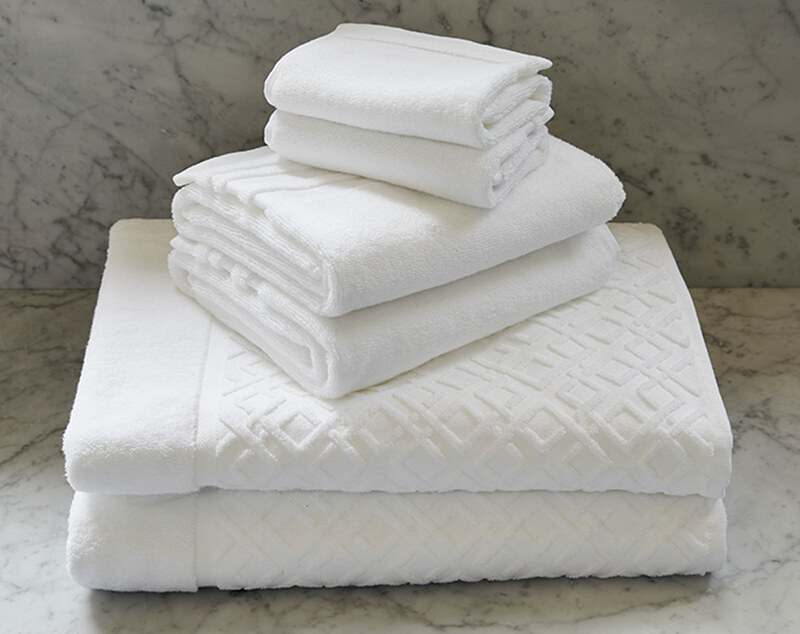 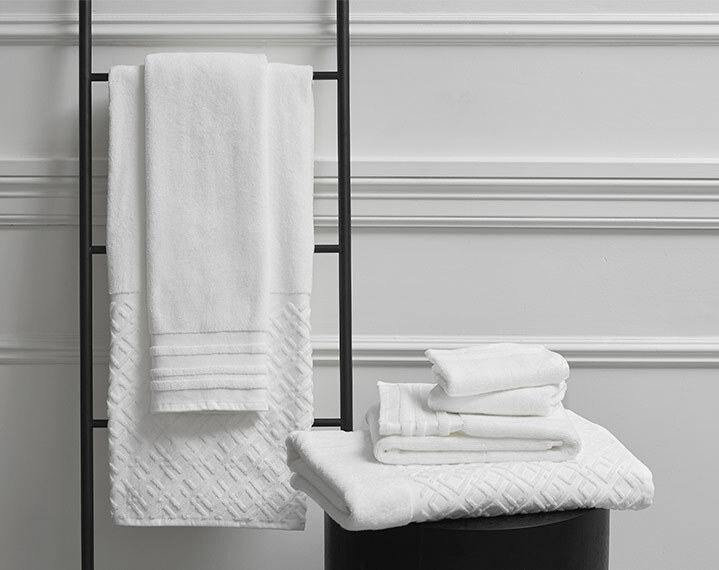 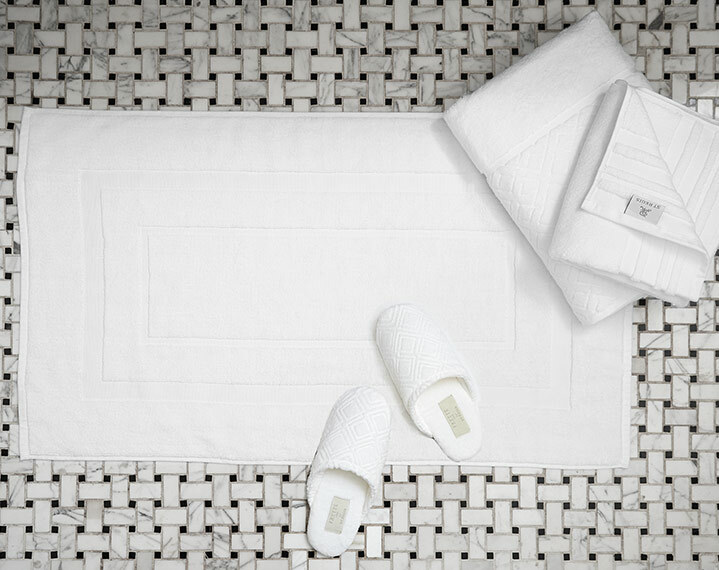 Our white towel sets, crafted from the softest 100% cotton, absorb moisture and provide the ultimate warmth. 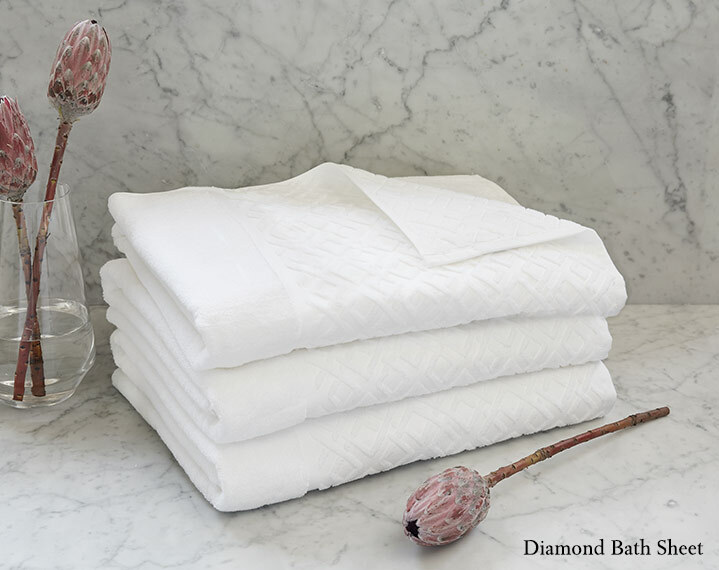 The bath sheet set features two luxurious bath sheets with a raised 10-inch diamond twill border, while the bath towel set offers two indulgent bath towels with a 12-inch diamond twill border. Both sets include two hand towels and washcloths, featuring a multi-line twill border.